E Hayes and Sons can justifiably claim to be one of Southland’s iconic businesses, being an integral part of the Invercargill retail scene for over eighty-three years. That position was recognised and rewarded last night at the 2015 Westpac Business Excellence Awards where E Hayes and Sons won The Southland Times Retail Business Award for 2015. 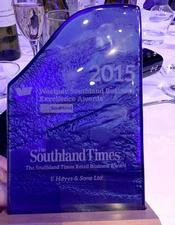 The Award was presented at a Gala Event held at the Ascot Park Hotel in Invercargill. E Hayes Managing Director Mr Neville Hayes was very proud to accept the award on behalf of his company. “Not only are we extremely pleased to have carried off the Retail Business Award we are also very proud of, and encouraged by, the high calibre of business excellence that thrives in the Southland region” he said. “The award is a reflection of the hard work and dedication by all of our staff to produce and present a retail experience for our customers second to none”. 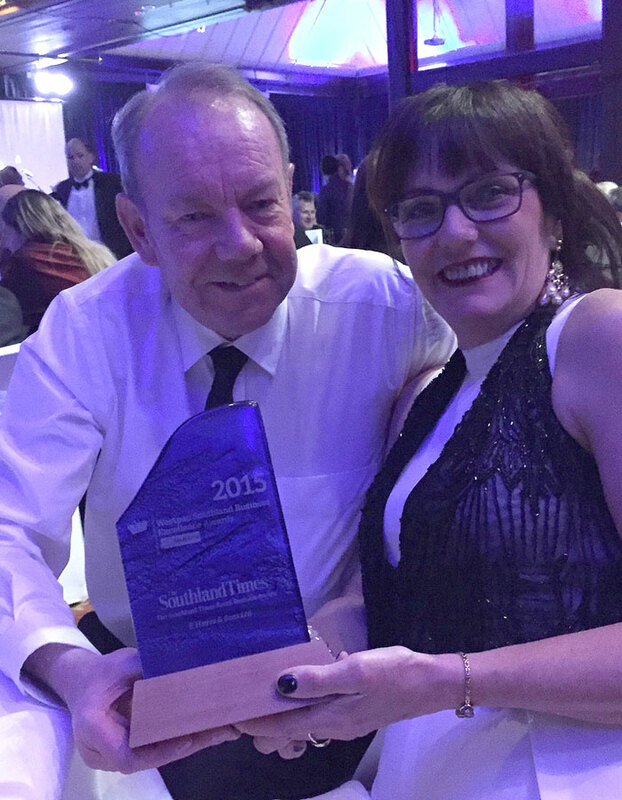 Pictured - E Hayes and Sons Managing Director Neville Hayes and partner Vicki with the Retail Business Award at the Awards Gala Event.